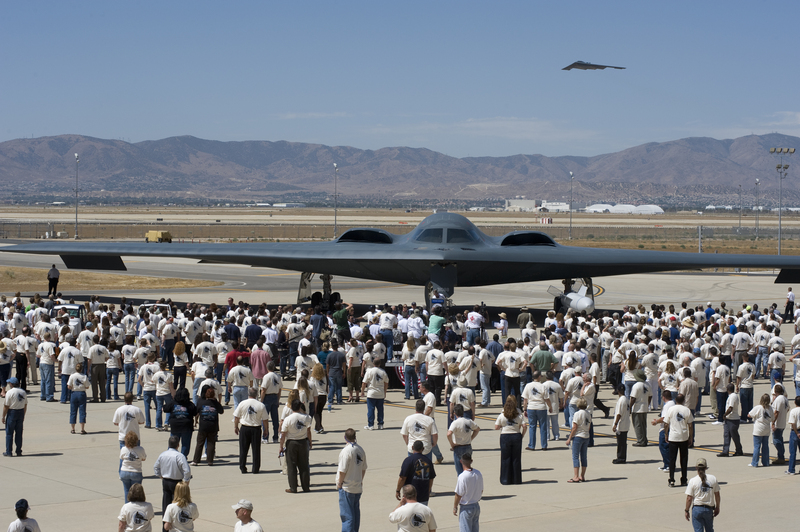 PALMDALE, Calif., July 17, 2009 -- Twenty years ago today, the first Air Force/Northrop Grumman Corporation (NYSE:NOC)-developed B-2 Spirit stealth bomber, a tailless, bat-like flying wing named The Spirit of America, lifted off for its maiden flight from Air Force Plant 42 here. That historic flight from Palmdale to Edwards Air Force Base lasted just over two hours, but it would alter forever the face and nature of modern air warfare. 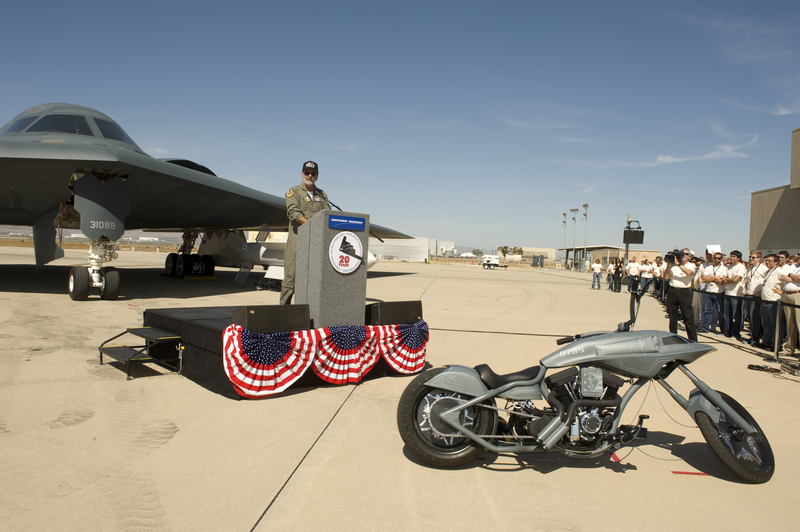 More than a thousand Northrop Grumman employees and Air Force officials gathered today at the company's B-2 program headquarters in Palmdale to celebrate the significance and lasting effects of that first flight. Northrop Grumman is the Air Force's prime contractor for the B-2, the flagship of the nation's long range strike arsenal. "The B-2 is the product of an innovative and enduring partnership between Northrop Grumman and the U.S. Air Force, a partnership that began even before we signed our first B-2 contract in 1981," said Ronald D. Sugar, Northrop Grumman's chairman and chief executive officer. 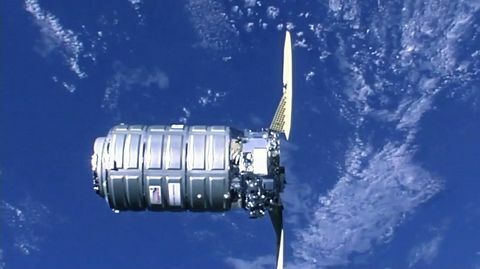 "Over the years, this team's unmatched engineering skills, imagination and determination to succeed have produced, and today maintain, the most powerful airborne weapon system the world has ever known. We're looking forward to continuing that strong partnership as we work to modernize and keep the B-2 fleet vibrant for many decades to come." The anniversary event included remarks by Col. James Dawkins, USAF, Commander, 509th Operations Group; Bruce Hinds, Northrop Grumman's former chief test pilot who piloted the Spirit of America on its first flight; and Gary W. Ervin, president of Northrop Grumman's Aerospace Systems sector. Dave Mazur, vice president and Northrop Grumman's B-2 program manager, also made a surprise entrance to the ceremony on the B-2 Stealth Bike, the B-2 themed motorcycle that was featured on the 2009 season premiere of the reality cable TV series "American Chopper." 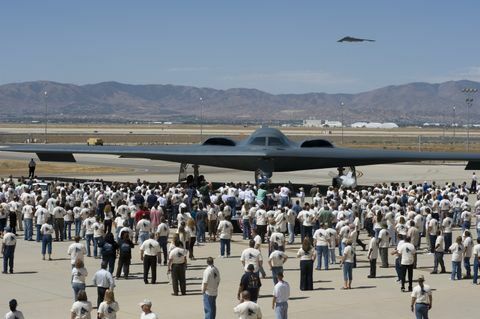 Attendees to the ceremony also had a rare opportunity to see a B-2 in flight when the "Spirit of New York" based at nearby Edwards AFB passed over Palmdale as part of a training flight. "The B-2 remains one of the most iconic symbols of freedom for our nation," said Brig Gen Robert E. Wheeler, USAF, Commander, 509th Bomb Wing, Whiteman Air Force Base, Mo. "Its readiness to protect America's interests anywhere in the world is a testament to the talents, courage and the daily sacrifices of the airmen who fly and maintain the fleet today." The B-2 is the only aircraft that combines stealth, long range, large payload and precision weapons delivery in a single platform. Its unique capabilities allow it to penetrate an enemy's most sophisticated defenses and put at risk the most heavily defended targets. The B-2 fleet today consists of 20 aircraft: 19 operational aircraft and one flight test aircraft. The 509th Bomb Wing, a part of Air Force's Air Combat Command, flies and maintains the fleet from its home at Whiteman AFB, Mo. The 702nd Aeronautical Systems Group at Wright Patterson AFB serves as the acquisition arm and overall lead for the B-2 program. The Air Force's Oklahoma City Air Logistics Center manages the sustainment of the fleet and ensures the availability of spare parts. Northrop Grumman performs periodic programmed depot maintenance on the fleet at its B-2 program headquarters in Palmdale, in the same facilities used to assemble and test the B-2s in the 1980s. The company also leads a variety of B-2 modernization programs designed to improve the aircraft's radar, communications, and weapons delivery capabilities. 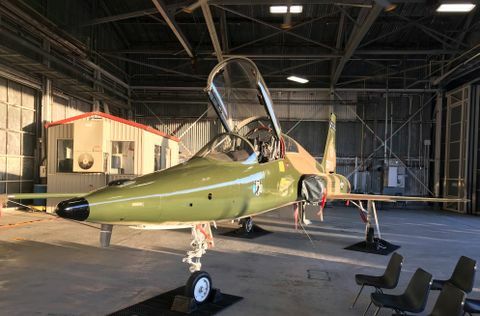 These programs provide the technological foundation for enhancing the aircraft's capabilities in the future, and help ensure that it remains as capable against evolving threats in the future as the day it first entered the Air Force inventory.